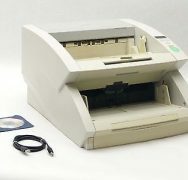 Scanning Solutions - American Business Copiers, Inc.
Browse Scanning Solutions from American Business Copiers, Inc. 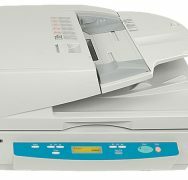 The DR-4010C color document scanner features state-of-the-art scanning technology that delivers exceptional image quality and speed. 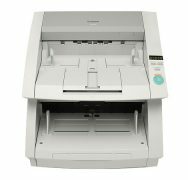 With all the features you'd expect in a document scanner and more, the DR-4010C model turns stacks of documents into digital files with exceptional speed, accuracy, and ease, while taking up minimal desktop space. 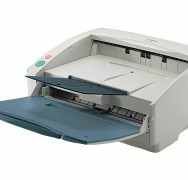 The DR-5010C is a compact, high speed document scanner packed with extensive features for seamless, hassle-free scanning. 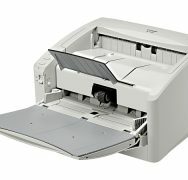 The Canon DR-5020 Desktop Document Scanner makes short work of your high-volume document imaging applications. With scanning speeds of up to 60 pages-per-minute, the DR-6080 is an affordable high-speed production scanner, incorporating Canon's renowned image quality and reliability for optimized throughput. The DR-7080C achieves a new level of efficiency, providing high-speed color scanning for batch scanning needs, as well as fast and easy flatbed scanning. The DR-7580 is a high-performance desktop production scanner that offers outstanding image quality, easy handling, and versatility all at a price to suit virtually any company's budget. Redefining price and performance, the DR-9080C is a standout for advanced technology, but even more, it finally brings high-speed color, production-level scanning within reach of budgets that never could have justified it before.